Property coverage for your home, personal property, outbuildings, machinery, tack, equipment, livestock and other farm property. Liability protection for you and your farm business, including operations such as boarding, breeding, training, racing, lessons, and horse show events. Care, custody and control and qualifying auto coverage can be added to complete the package. This entire package is available for individuals, partnerships, corporations and limited liability corporations (LLC). Please contact our office today for a free quote. Equine Care, Custody and Control coverage is essential for equine professionals entrusted to care for non-owned horses. Protects you should you cause injury or death to a non-owned horse in your care for which you would be legally liable. Various limits of insurance to fit your specific needs. Complete the Care, Custody & Control Application. Protects you should property damage or bodily injury to others arise due to your commercial horse operations. Available with limits up to $1,000,000 per occurrence. 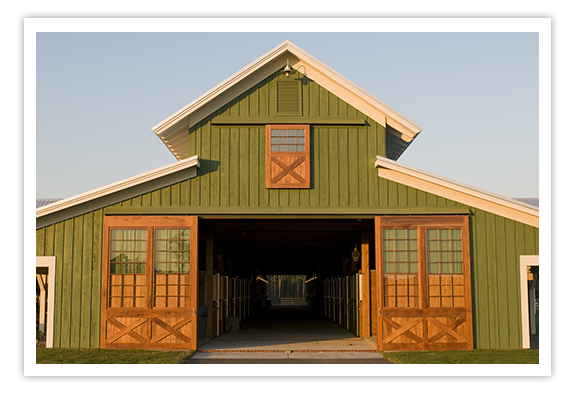 Complete the Equine Commercial General Liability Application. Owning a horse creates unique liability exposures. Many times the liability associated with the ownership of a horse is not covered under your homeowner insurance policy. The horse owner’s general liability policy fills this gap. Available for most breeds and uses. Complete the Equine Personal Liability Application. As a professional horse trainer and/or riding instructor you are well aware of the potential hazards and liabilities you are exposed to on a daily basis. Protects you when mishaps occur due to your negligence for which you could be legally liable. Coverage in the event a lawsuit arises out of horse show/event activities. Written as a short-term or annual policy. Covers the requested show dates and extends to include a day before the show/event for move-in and two days after the show/event for move-out. Protects you should bodily injury or property damage occur as a result of horse show/event functions. Complete the Equine Event Liability Application. Coverage in the event a lawsuit arises during equine club activities. Protects you should bodily injury or property damage occur as a result of club activities during the policy period. Complete the Equine Clubs and Associations Application.